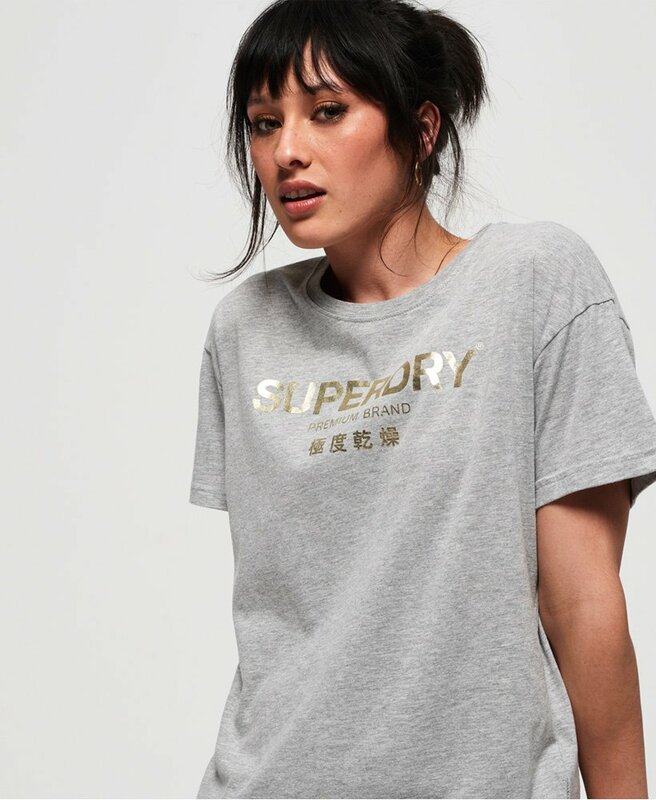 Superdry women's Premium luxe Portland t-shirt. Crafted from a super soft cotton blend, this oversized, new fit t-shirt features a classic crew neck, short sleeves and foil effect graphic on the chest. This t-shirt has been finished with a logo tab on the hem.